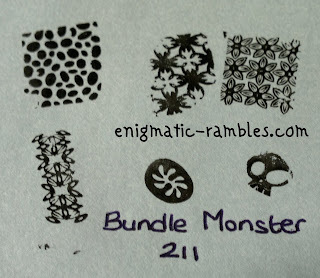 This stamping plate is from the second Bundle Monster set, from 2011. It is backed with branded lining to stop it from being sharp. This is a good thing because without it it is easy to slice open your fingers and palms. Then again I am very clumsy. 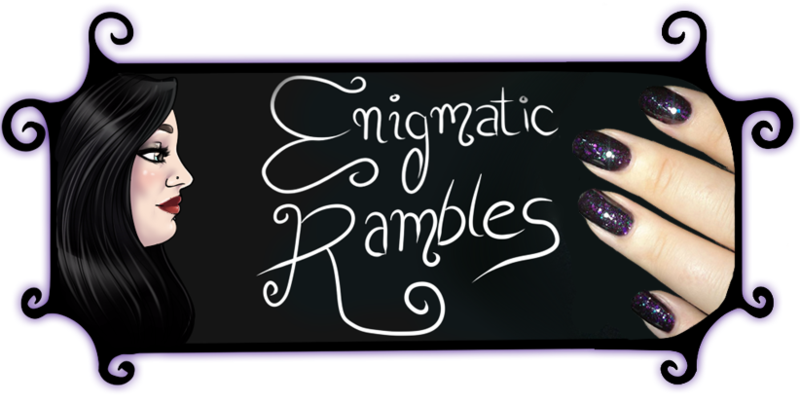 Three full nail images, one half full nail image leaving the other two as single images. 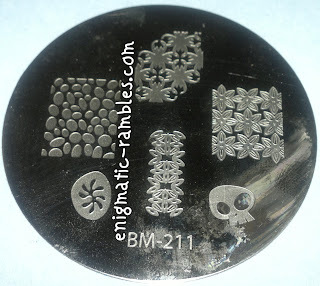 I found that they all stamped well, I did have a few problems with the skull however when I have stamped this on to my nails in the past this wasn't an issue. 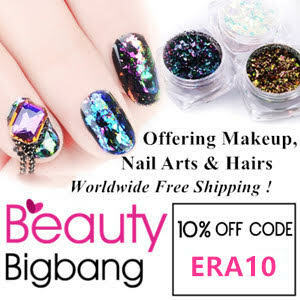 I like the floral pattern and haven't used it yet so think that will have to go on my list of nail art to do.